We regret to inform you that due to some rights restrictions, our show title and concept for our January production has changed. Our new show is called "The Highlander Hop". The new show takes place in 1957 on the campus of La Habra High School and audience members will travel around the campus to experience different dance numbers, set to 50s music, that tell a loosely-woven story ending in sock hop in the La Habra High School gym. Come dressed in your 50s best and let's go to the hop: The Highlander Hop. 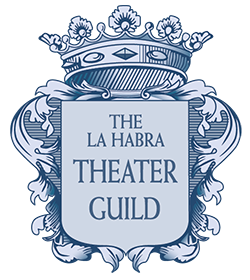 The new show will run approximately 90 minutes and will include walking to and from several locations on the La Habra High School campus. Along with your 50s attire we suggest you wear comfortable shoes and bring a jacket. This is a PHONE FREE event - as it was in the 50s - so come dance the night away free from your phone. If you previously purchased tickets to our previously scheduled performance, have decided you do not want to see this exciting new production, and you would like a refund you may request a refund by emailing: teachmemrjohnson@gmail.com. If you purchased tickets to the Friday, January 25 show, your ticket has been transferred to Sunday, January 27 at 7:30pm. You do not need to do anything but show up on that evening. If you do not want to attend that night you can request a refund by emailing teachmemrjohnson@gmail.com. If you no longer can attend or aren't interested in seeing our exciting new production, you can always choose to donate your tickets to our program.